Thank you for your interest in working for MSF UAE. Please check our latest office vacancies. Any recruitment process goes through our website and an online form. Please read the information concerning MSF’s activities and recruitment process before applying. 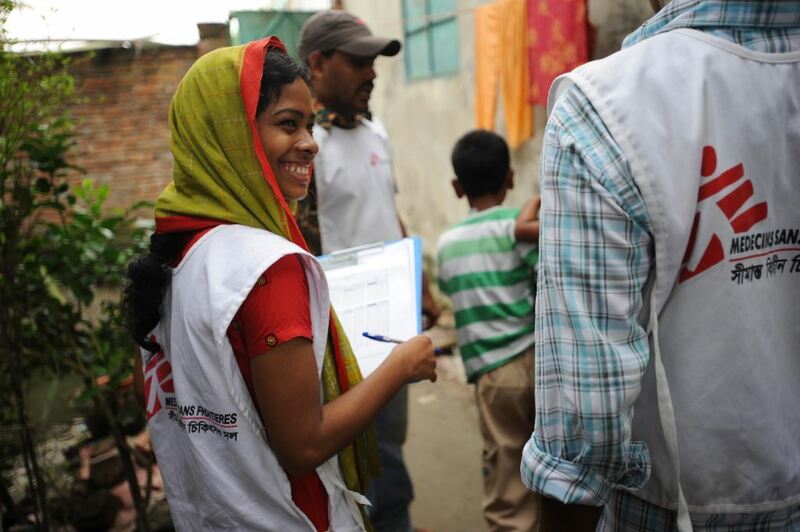 You may also be interested in jobs in other MSF offices around the world. Please note that these relate specifically to roles in MSF UAE's office in Dubai. Do you accept speculative applications or CVs? Unfortunately we do not accept speculative applications. Please apply for specific roles that match your skills and experience. Do I need to be based in the UAE to apply to work with MSF UAE? You do not have to be based in the UAE to apply for a role. However, it is assumed that you have the right to work in the UAE (unless it is specified otherwise), and can cover any potential relocation costs. If English is not my first language, can I still apply? We don’t ask applicants to complete a formal English test, however a good level of verbal and written English is required. You may apply for more than one role, but each role must have its own cover letter that details how you meet the role’s specifications. Each role has different tasks and responsibilities. We are an equal opportunities employer and will ensure that every reasonable adjustment is made to enable candidates to attend interviews. If I am unsuccessful at application or interview stage can you give me a feedback? Rest assured that every application is carefully reviewed and considered, but unfortunately we are not able to provide feedback as standard to unsuccessful applications unless you reach the interview stage. If I am unsuccessful, can I apply for future roles? Yes, and we encourage you to apply if you believe you have the right skills and experience required for the role. Will I get the opportunity to travel? Some roles require occasional or regular travel to the field or other MSF offices; the opportunity to travel depends on the role and its responsibilities.